This special workshop will lead you on a journey of spirit and senses! At the start of our evening, you'll pick your "guru" bead and carry it with you to your mat. During your hour-long yoga practice, Stacie will show you how to infuse your bead with your mantra energy as you flow through an uplifiting and cleansing vinyasa flow. 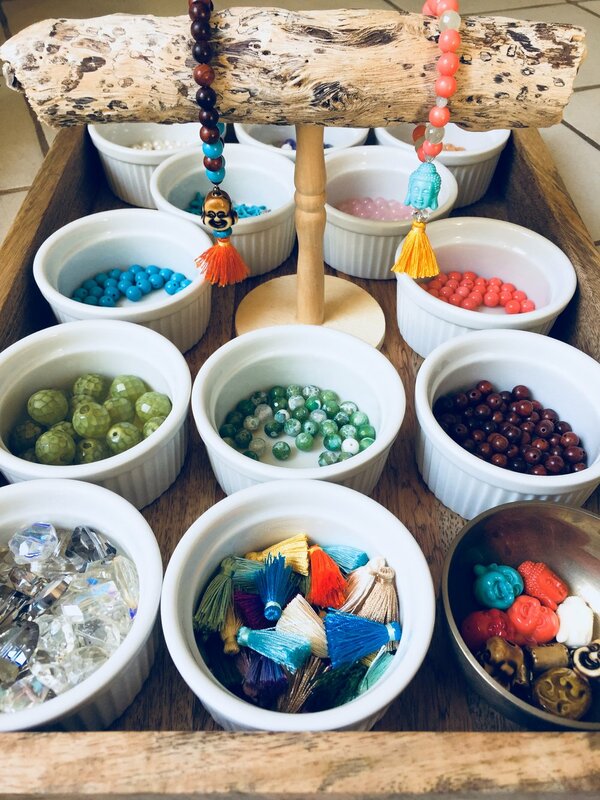 After yoga, you'll join Carleen, who will show you how to craft a mala bracelet using gemstones and wood beads, and a colorful tassel. The tassel represents enlightment. As the strands combine together into one, it represents are connection to the Divine and each other, symbolizing our prana and consiousness. This bracelet looks beautiful stacked with on your wrist or worn alone. And perfect timing for making more as holiday presents for the favorite yogis in your life.